Sad but true. At a time when Prime Minister Ranil Wickremesinghe is asking the nation to increase exports for the nation to stay on in the business of increasing forex reserves, you now have the GNU-led Western Provincial Council, cutting across party-lines, voting for the ‘import’ of 104 chairs for the House Chamber in the new building. The question of having to import those chairs apart, the price per piece is what has shocked the nation. Until JVP Council member Lakshman Nipunaarachchi brought it to light, not many would have known and noticed that the price per chair was in the range of SL-Rs 650,000. Even more shocking should the callous contempt with which Western Province Chief Minister Isuara Devapriya responded to Nipanaachchi. As he was double-quick to deny JVP’s Arachchi, price per chair was not Rs 650,000. Instead, it was…..it was…. (only) Rs 640,000 !!! Thankfully, Western Province Governor Hemakumara Nanayakara has reportedly suspended the Council decision in the matter. According to news reports, Nipunarachchi has also decided to knock at the door of the newly-constituted National Audit Service Commission, to stop funds-allocation funds and privileges for leading members of the Council, saying ruling UPFA-UNP members were getting lavish privileges, which needed to be stopped. Media reports have quoted Nipunaarachchi to say that despite their objections, the then Western Province Governor Kanapathipillai Cathiravelpillai Logeswaran had endorsed allocations and privileges in violation of the Constitution. To him, it was now the “responsibility of the independent Audit Service Commission to inquire into the situation” of all Provincial Councils. Reports have also spoken about JVP members from across the country writing the Attorney-General to initiate proceedings for suspending all payments to House Leaders, the Opposition Leaders the Chief Government Whips and the Chief Opposition Whips in all Provincial Councils, including and/or starting with the Western PC. In doing so, signatories, including Nipanaachchi, have pointed out that neither the Constitution, nor the Provincial Councils Act of 1987 had provided for such positions, for the Government to pay for them. 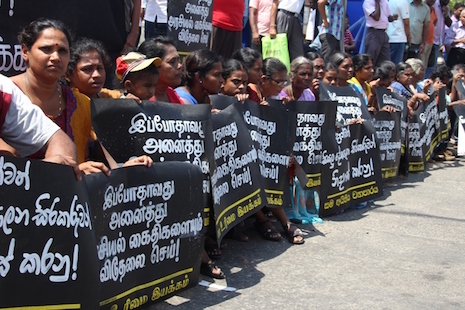 In this context, the JVP Councillors from different PC have also pointed to the moneys spent on providing vehicles, staff and office space to those occupying the said positions in the Provincial Councils. Under the Provincial Council Act, only the offices of Chief Ministers and four other Ministers have been sanctioned for each Province. Thus, all extra salaries, privileges, including vehicle, staff and protocol-related expenses were applicable only to these five Constitution-mandated offices in the Provincial Councils. Others could remain, the JVP Councillors have told the AG in their memorandum, but no expenses could be incurred on them, by the Government. Prima facie, the JVP Councillors seem to have a good case on their side. It remains to be seen however if they were to move the Supreme Court, what would be the direction to the AG and more so to all authorities entrusted with the job of authorising and making those payments all along. Barring Northern PC, the rest of them all have been around for 30 years, since 1988, barring brief interludes, when most Houses were dissolved, pending early elections. The NPC came into being only in October 2013, post-war. It may be good that the JVP woke up only now – and not when it was a constituent of the UPFA for a time, under SLFP Presidents Chandrika Bandaranaike-Kumaratunga and Mahinda Rajpaksa. Be it as it may, the question is not why they are late or why they did not take it up. It does not relate to the possibility of JVP Councillors in the past enjoying such other privileges and benefits, if ever such packages were offered. This, of course, need not have to include Rs 640,000 chairs for their Councillors! It is not about the JVP now taking up the cudgel in the matter, or maintaining silence in the past. It is more about President and UPFA boss Maithiripala Sirisena and Prime Minister Wickremesinghe not telling their Councillors to behave. Rather the ‘chair business’, if not the rest of the JVP charges, would show that for the ruling Duo, fiscal prudency is only when they talk about the failures of erstwhile Rajapaksa regime. Or, for public consumption, on election-eve, or whenever there is a threat to the alliance from within. Leave aside the Central Bank ‘bonds scam’, which was about someone from among them dipping his fingers in the till, the two leaders do not even seem wanting to cut down on profligacy of their own men, whether in the Central Government or in Provincial Councils. Fair enough, their references to profligacy of the Rajapaksa kind involved billions, not millions involved in the import of 104 chairs. But it is only trickles that the ocean makes! The problem with Provincial Council profligacy, nepotism and worse of the kind owes to the nation’s political system. Whoever is in power at the Centre, they do not want a second-line leadership to emerge from the provincial-level, to threaten the status quo, rock their positions at the national-level, be it in the Government, or the party, or both. This does not stop with Presidents and Prime Ministers. Every Minister in the Government at the Centre, every party leader even in the second and third-rung is afraid that their promoting a provincial-level leader, or such elevation even against their best attempts, would sound an early death-knell to their sub-regional dominance at the national-level. It is not always that such men could torpedo the chances of bright and prominent sub-regional leaders. But they can always manage and manipulate them. One and possibly the only tested way is to keep them busy at the provincial-level, be it as PC Ministers or Members, or at the party-level, or both. This apart, every national-level leader from Presidents and Prime Ministers downwards need loyal cadres and cadre-managers at all levels. These PC members and leaders, and the district ‘Organisers’ of individual political parties, to keep the party machine well-oiled to do their bidding whenever and wherever called. Feeding them the crumbs, or looking farther away when the ‘others’ too dipped their fingers in the till is one way, and possibly the only way to keep those ranks happy and contended. It would also mean that other than those who are willing to risk their slow and unsteady climb-up, if any, the rest would act to the script, written by others above and at times unknown to them. Look at the respective party constitutions, and not the nation’s Constitution, and you know the why and how of it. The former needs to be thrown into the Ocean, and newer ones brought in their place, where the hegemony and nepotism of the big boss alone matters. The nation’s Constitution needs to be amended, yes, but only to check the hegemony of the national leader and his propped-up puppets. In this way, whoever gets himself or herself elected to the nation’s top constitutional post remains the party boss until at least he or she is there. At least that is how Mahinda Rajpaaksa got the SLFP constitution amended to sub-serve his personal interest and domain. That is also how incumbent Maithiripala Sirisena SLFP boss when he defeated Rajapaksa in the presidential polls of 2015. Less said about the UNP the better. For long, whether or not the party is in power or not, the ‘Leader’ has remained the ‘Leader’, Prime Minister Wicrkemesinghe in this case. He gets to appoint every party official at every level, every time there is a need – or, every time, his acolytes create the conditions. It is so of even in minority community parties like the TNA, SLMC and CWC, the JHU and the JVP, too. Hence also why there are more factions in these parties. The only recourse available to ‘suffocated’ leaders with an equally strong will and bigger egos is to float a political party of their own, disowning that which had brought him to that particular level, but would not provide further space to grow. The ‘unitary’ character of the Sri Lankan State structure comes not from within the Constitution, but has been ‘imposed’ from outside. Translated, it means, a leader fights his way out to reach the top, as the nation’s President or the party’s presidential candidate. The party then make it his responsibility to win all elections from the local government polls at the level of the last ward of the last village in the country. With responsibility comes authority and power, whether or not he or she is elected the nation’s President. There it stays. The nation’s ‘unitary’ Constitution itself was brought about only to prop up one single man called Junius Richard Jayawardene, to the exclusion of every other from within the party and outside. If only he had brought about an 18-A of his own, a la Mahinda R, and god had given him longer life, who knows, JRJ might still have been the President. With that, more Provincial Councils would have ordered the import more ‘chairs’ for their members. Naturally, they would have also paid prices much higher than SL Rs 650,000 – and certainly more than Rs 640,000, which alone Western Province CM Devapriya said it would now cost! Call it a ‘conspiracy by consensus’ or whatever, thanks to the JVP-LTTE’s non-conspiratorial attacks on the Sri Lankan State structure, it became easy for the top leaderships of national parties to convince themselves and the nation that a ‘unitary’ Constitution is the only way to keep Sri Lanka united. Citing the LTTE and the longer-term Tamil demands for a ‘federal’ structure by comparison, these leaders have ensured that the Buddhist clergy, their political acolytes and their own second and third-line leaderships, cadres and voters to the last man, believes in the monumental lie that they have spun around all these years and decades. In this era of social media and greater public awareness, they cannot continue spinning their tales far too long. Yet, no one wants to talk about these things in the Steering Committee of the new Constituent Assembly. Conditioned to a mind-set, they may not even be able to see through their own past mistakes, leave alone courageously acknowledge it, when the time is just ripe. Then, it could become too late, and the nation may be overwhelmed all over again, by issues and conditions that they would not be able to interpret correctly.